On the tour, you will have the chance to meander where water meets agriculture, aquatic ecosystems, citizen science, drinking water treatment, and habitat restoration projects. A delicious lunch will be provided by Edible Acres Café + Catering at the Columbia River Headwaters. Admission is free but space is limited! 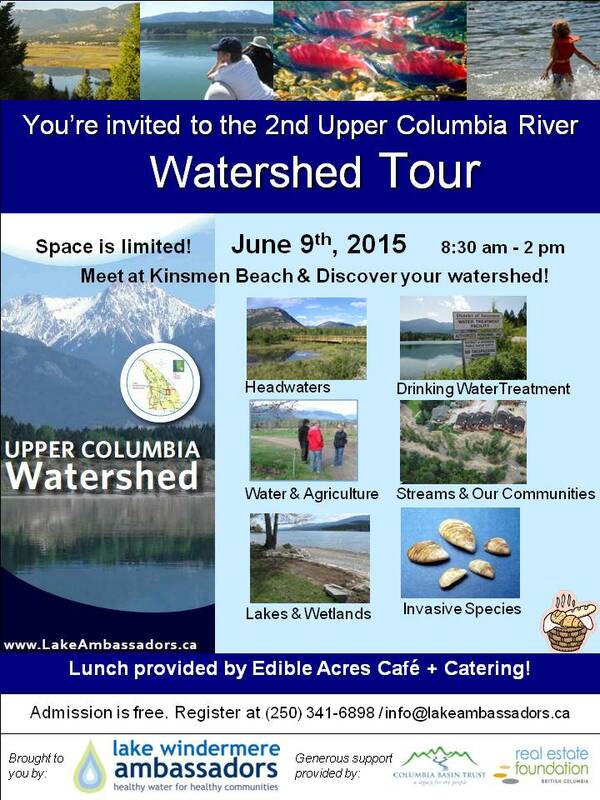 Contact Megan Peloso at (250) 341-6898 or info@lakeambassadors.ca to reserve your spot on the bus.